Thank you again to all the volunteers who joined us for Coastal Cleanup Day and helped us clean the beaches and streets from Daly City to Half Moon Bay! 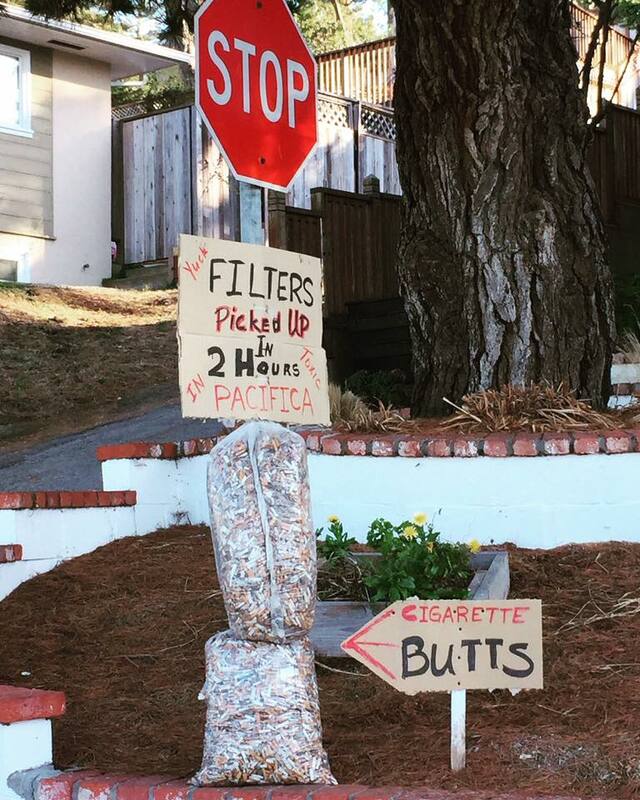 These were actually picked up in 2 hours in Pacifica from our beaches, streets, parking lots and bluffs. Not everyone saved them for us so there were more. Our tally came to 22,000 filters but this is really just a fraction of what is out there. Thank you to the 1300 plus volunteers who came out for California Coastal Cleanup Day to collect these and just over 2000 pounds of debris and 600 pounds of recycling! San Mateo County: At over 30 locations, volunteers helped remove 27,245 pounds of trash and 3,740 pounds of recyclables from San Mateo County beaches, the Bay, creeks, rivers, parks and neighborhoods. California State: 63,645 volunteers, 930,623 pounds of trash and an additional 79,679 pounds of recyclable materials, for a total of 1,010,302 pounds or 505 ton.